Green River still high in Daniel area, but fishing is good. New Fork fishing is great! 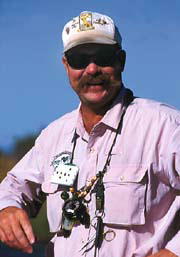 Dry fly fishing is red hot now. Small stream and area lake fishing is good. Soda Lake is good mornings and evenings. The Green in the Daniel area is high, but the fishing is good. Golden Stones and Grey Drakes, as well as some Mahogany's, are hatching. On the upper Green, there are still some Salmon Flies left and the Caddis hatch is excellent. The New Fork River is fishing great; the Golden Stones are hatching, as well as the Grey Drakes. Dry fly fishing is red hot right now and should continue through July. All of the smaller streams in our area are fishing great. Water is low and clear, and the fish are feeding on the surface. There are a variety of hatches, from PMD's to Golden Stones. Most of the area lakes are fishing well. Soda is good morning and evening. There has been a great flying ant hatch every evening. Lots of big browns feeding on the surface for the ants. Mornings try streamers like Platte River Specials or Orange Blossom Specials, with a small Prince nymph for a trailer. Meadow Lake has really turned on. The Grayling are taking dry flies. Parachute Adam's and Caddis patterns in #16 are best.